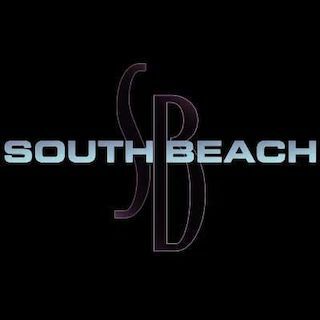 South Beach is a 22 minute scripted crime television series, which kicked off on July 29, 2015, on Hulu and is broadcast every Wednesday at . The show is currently in its 1st season. Hulu is yet to announce the renewal of South Beach for Season 2 as well as its cancelation. Sign up to track down the show's status and its release date. South Beach -- where dangerous secrets refuse to stay buried in the sand. These secrets turn deadly when Gus Garcia, the beloved Mayor of South Beach, is murdered. Lt. Erica Whitney is mystified when the only clue left at the crime scene is the mark of "The Ghost", Miami's most notorious serial killer, thought gunned down 20 years ago. Much to Lt. Whitney's chagrin, the possible re-emergence of "The Ghost" has brought FBI Special Agent Harrison Pearce into the case, who is holding a few secrets of his own. On the other side of town, crime lord Isaac Santero is plotting a bold move to seize control of Miami's drug trade, with unexpected help from aspiring DJ Michael Bell. When Isaac's territory is threatened by the Cordero family, events turn deadlier than anyone had imagined. Alliances are challenged when Michael falls for Carmen Suarez, a gorgeous bilingual pop star who is about to embark on a world tour behind her latest # 1 single, "Fahrenheit". Carmen is unafraid and unapologetic as she enters into the stratosphere of fame, but even she can't anticipate how her past catches up with her. Meanwhile, Carmen's upcoming tour is at the center of an escalating, bitter rivalry between Donovan Lear and Antigone de la Vega, former partners - and lovers - who now run the two most powerful record labels in Miami. Donovan's estranged daughter, Samantha Lear, owns "Fever", the hottest nightclub on South Beach. Samantha's life gets complicated when her flirting with Octavio Cruz, Carmen's manager and Donovan's Head of A&R, turns into something more. Revenge, Passion, Murder, Betrayal  Emotions run high in the hottest place on Earth -- South Beach.